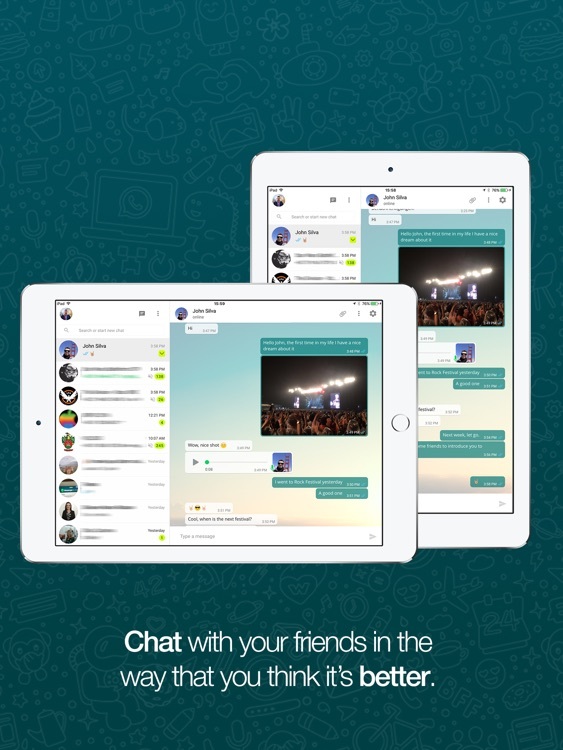 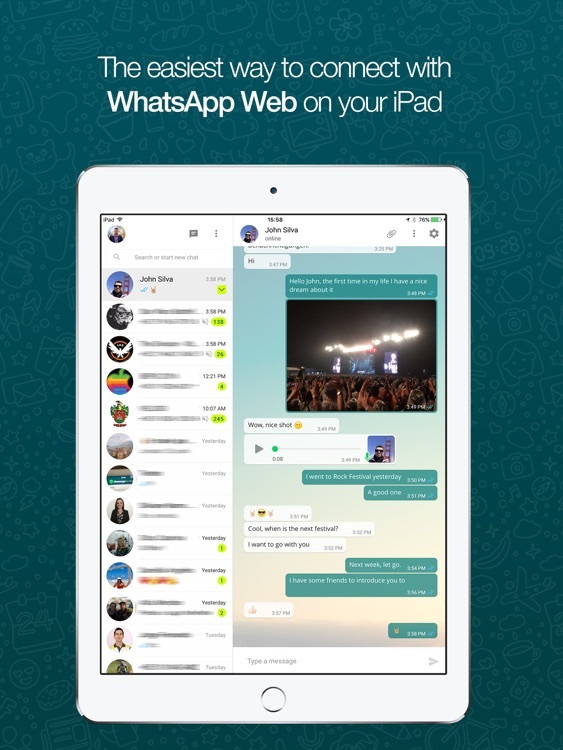 A simple and practical way to connect to the web version of WhatApp with your iPad is using the app “Messenger for WhatsApp Web”. 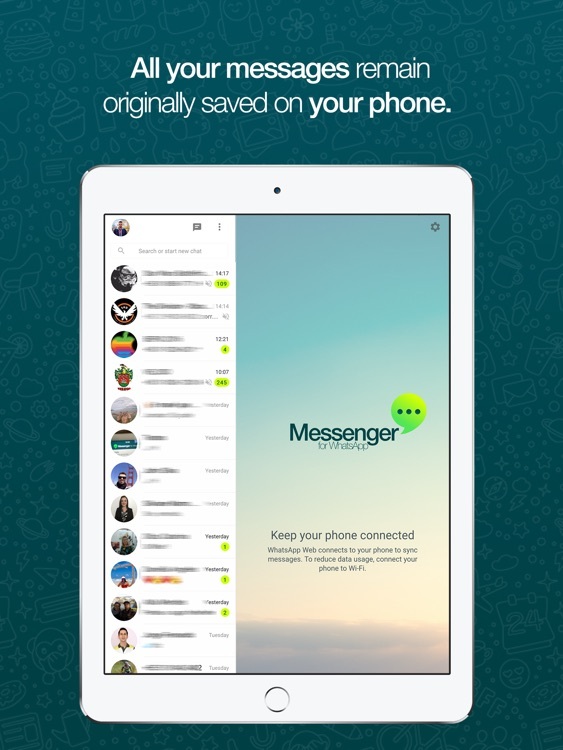 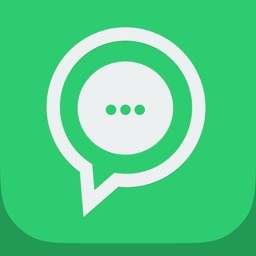 Just like the web version of WhatsApp, the "Messenger for WhatsApp Web" is an extension of your phone, which simply mirror your conversations and messages as they are in your phone device, that means, all your messages remain originally saved on your phone . 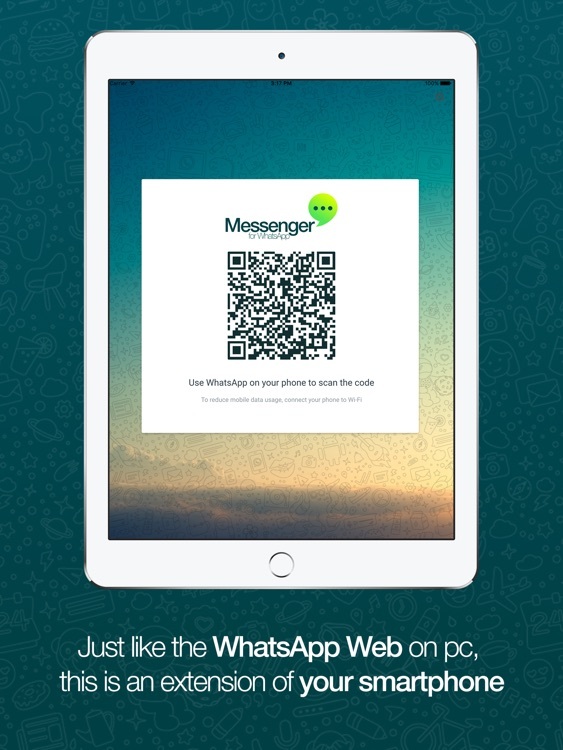 To connect, open the "Messenger for WhatsApp Web" and you will see a QR code, simply 'scan' this code using WhatsApp on your phone and you will be logged in. You will find this option within WhatsApp settings on your phone, at "WhatsApp Web" menu. 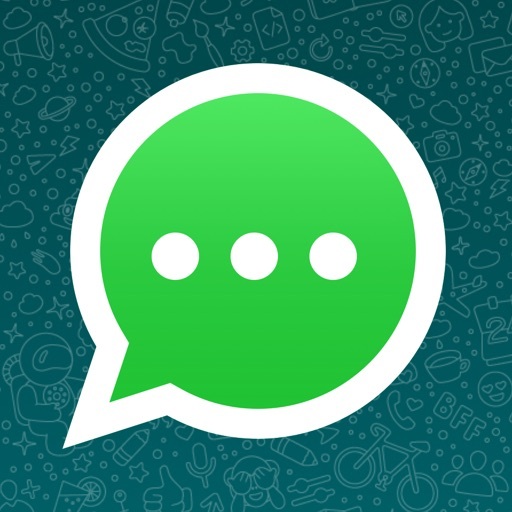 Your phone must be connected to the internet for the "Messenger para WhatsApp Web" to work, and in addition, make sure you have the latest version of WhatsApp is available for your phone. 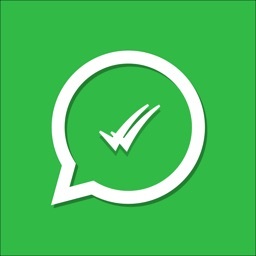 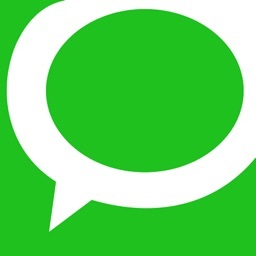 ***To verify if your phone can sync with "WizeApp Messenger", try connect with your phone in http://web.whatsapp.com before buy this app. 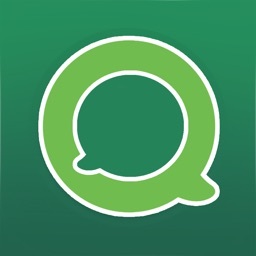 Stay updated at our Facebook page.